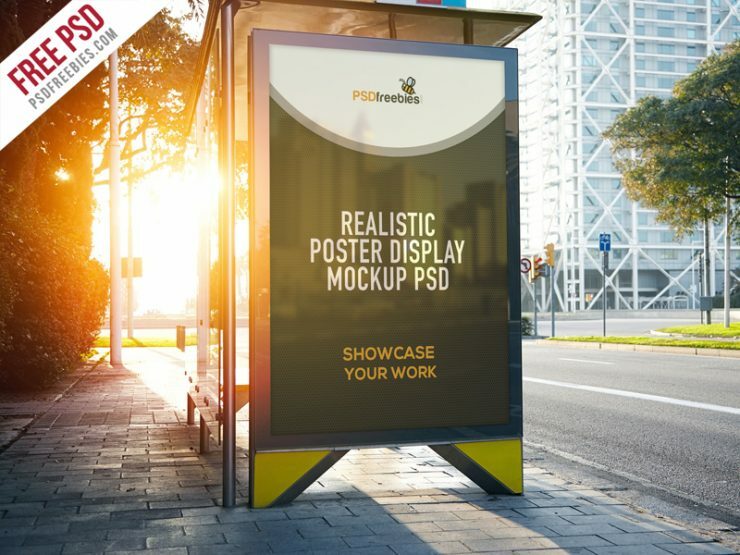 Download Realistic Poster Display Mockup Free PSD. This free mockup showcases the side panel of the bus shelter where you can add up your company’s logo, special offers, or other details. You can paste here all you want poster, graffiti, sketch, your photos and other artworks with a realistic set-up and get a better look. This template is made based on the Smart Objects that are editable in the Adobe Photoshop.